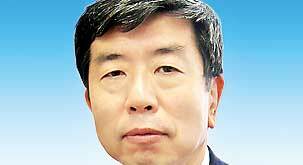 Asian Development Bank President Takehiko Nakao arrived in Sri Lanka last night on a two-day official visit. He was received by Finance Minister Ravi Karunanayake on arrival at the Bandaranaike International Airport. Today he will call on President Maithripala Sirisena and Prime Minister Ranil Wickremesinghe as well as sign several new financing agreements with the Government. Some of the new projects include a Rural Electrification Project of $70 million, an SME Credit Line of $100 million and a Local Government Enhancement Sector Project (additional financing) of $40 million. The ADB last week expressed keenness to increase its funding portfolio by more than $1.2 billion in the next three years. A new Country Partnership Strategy is also on the cards to cover the period 2017-2021. As of July 2015, ADB approved a total of 194 loans, to Sri Lanka, both sovereign and non sovereign, with cumulative lending of $7.06billion. ADB also provided $358 million in grant assistance and $127.78 million in technical assistance projects.